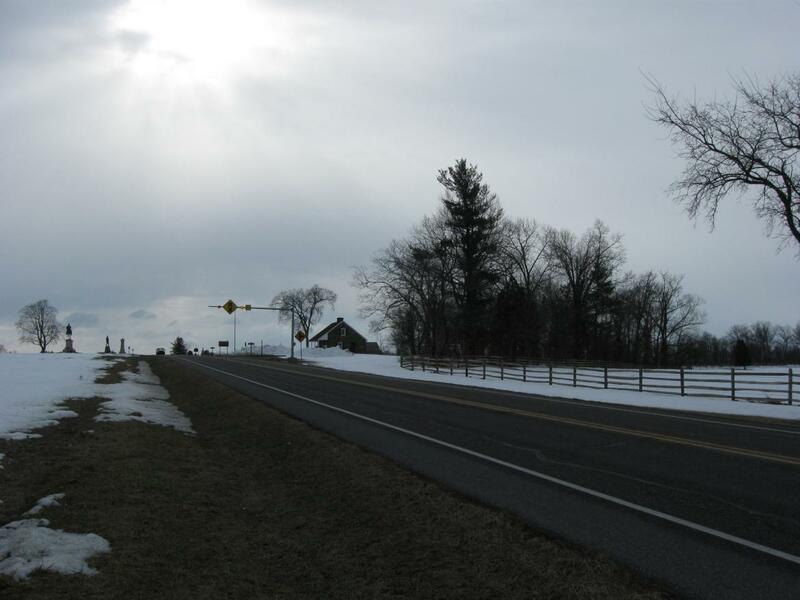 Today a contractor for the National Park Service is scheduled to remove the trees to the left of (south of) the West End Guide Station located on West McPherson’s Ridge and along the Chambersburg Pike (US 30). 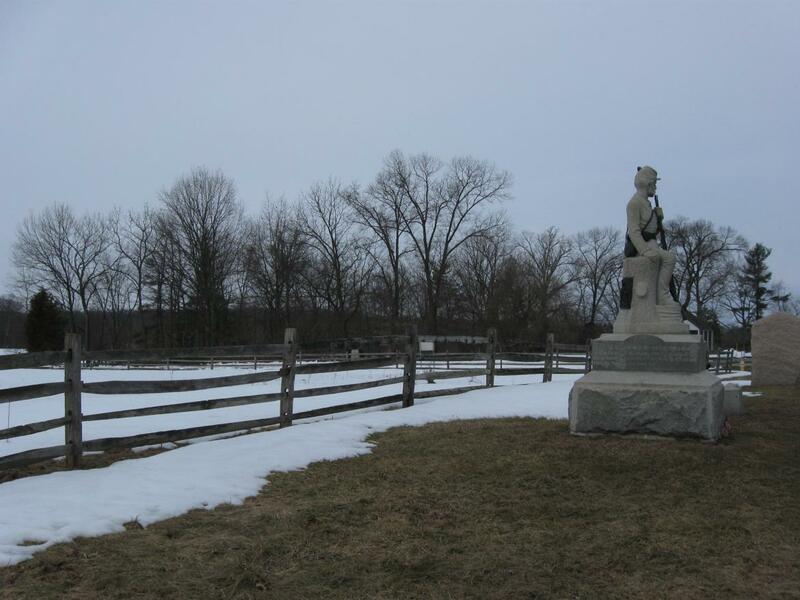 The purpose is to restore the battlefield closer to its 1863 appearance. The tree cutting will open the viewshed so that one can receive a better idea of what the two guns representing Calef’s Battery, shown here on the left, were aiming at on Herr’s Ridge. This view was taken facing west at approximately 8:45 AM on Sunday, February 28, 2010. Pennington Tree Service is scheduled to remove the trees to the south of the West End Guide Station today (March 1, 2010). 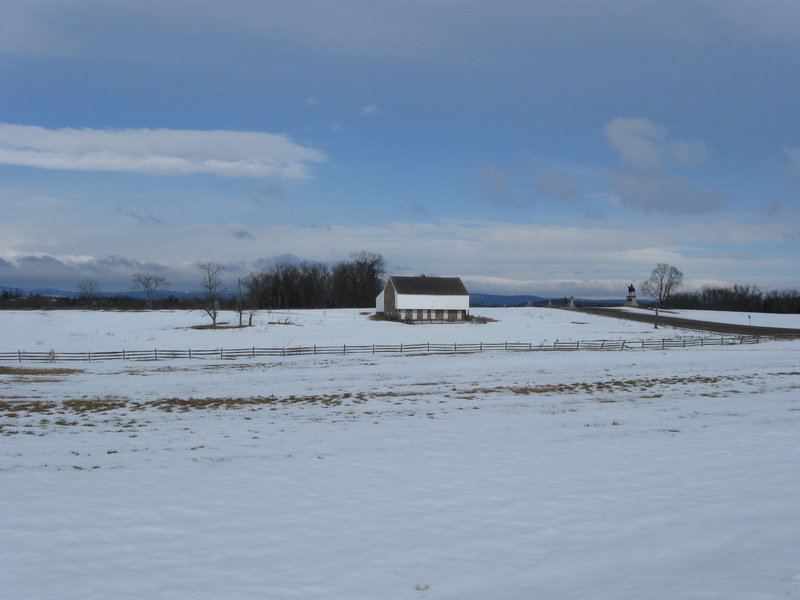 The trees, which were not here at the time of the Battle of Gettysburg, cover an approximately half acre. 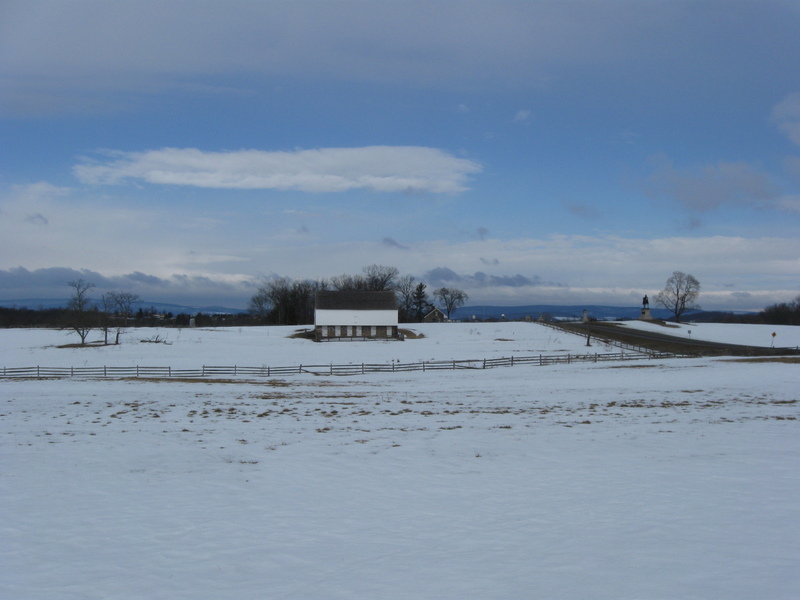 When the viewshed is opened, one can get a better idea of what Lieutenant John Calef’s Battery A, 2nd United States Artillery was seeing (or attempting to see) on July 1, 1863. For those wishing to have a completely unobstructed view toward’s Herr’s Ridge, however, the West End Guide Station needs to be removed. It will now “stick out like a sore thumb” as did the Devil’s Den restroom. What will the National Park Service do, if anything, with this structure? This group of trees, shown on the right of (south of) the West End Guide Station covers an area of approximately a half acre. 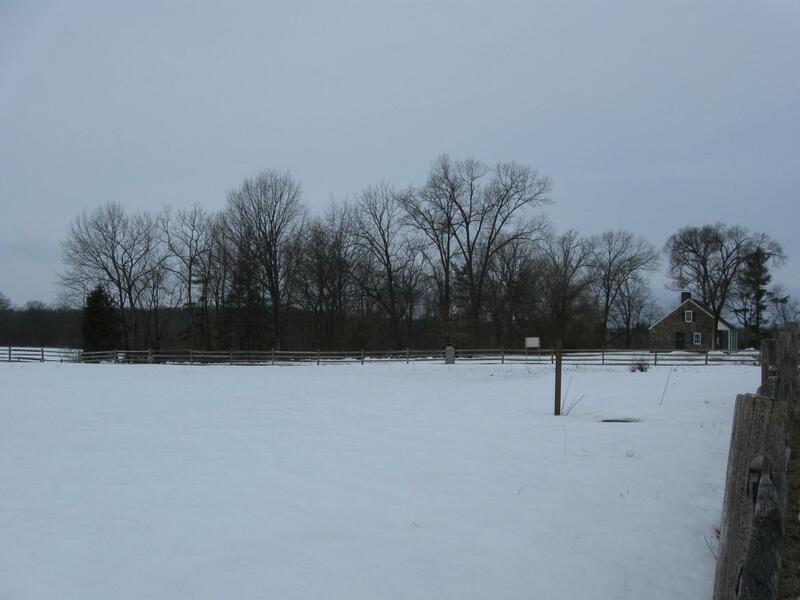 This view was taken facing southeast at approximately 8:45 AM on Sunday, February 28, 2010. The work is to begin today, and continue until mid March “which is when we usually shut down in order to leave trees undisturbed for spring bird nesting.” This view was taken facing southeast at approximately 8:45 AM on Sunday, February 28, 2010. So we’ve decided to take pictures of the trees on the final day that some of them will be standing. This view was taken facing southwest at approximately 8:45 AM on Sunday, February 28, 2010. The tree cutting will begin here today because they stand on higher, drier ground, than other trees, such as Spangler’s Spring, where the low areas are too wet to cut. 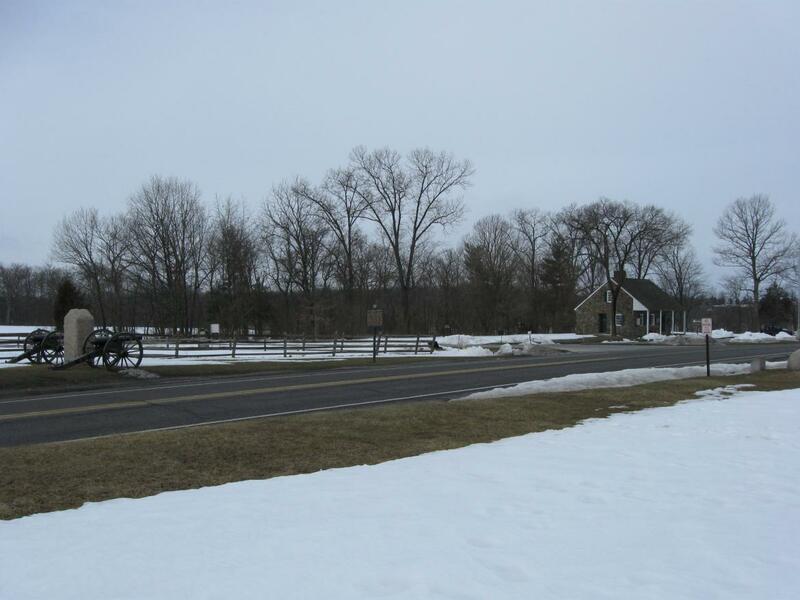 The monument to the 149th Pennsylvania Infantry Regiment is on the right. This view was taken facing west at approximately 8:45 AM on Sunday, February 28, 2010. Of course one of the many questions regarding this cutting is what happens to the West End Guide Station after the trees are removed? This view was taken facing west at approximately 8:45 AM on Sunday, February 28, 2010. It will really be exposed once the trees around it are removed. 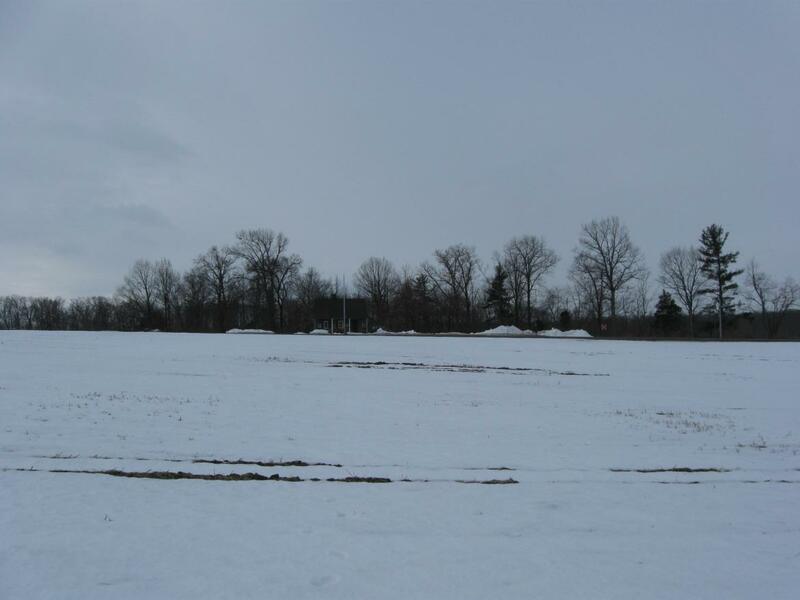 This view was taken facing northwest at approximately 8:45 AM on Sunday, February 28, 2010. And like the Devil’s Den restroom, which is now being removed after the trees around it were cut down, this is a circa 1930s building. This view was taken facing south at approximately 8:45 AM on Sunday, February 28, 2010. And just like the situation with the Devil’s Den restroom, if the purpose is to restore the battlefield closer to 1863, then why would one leave up a 1930s building? 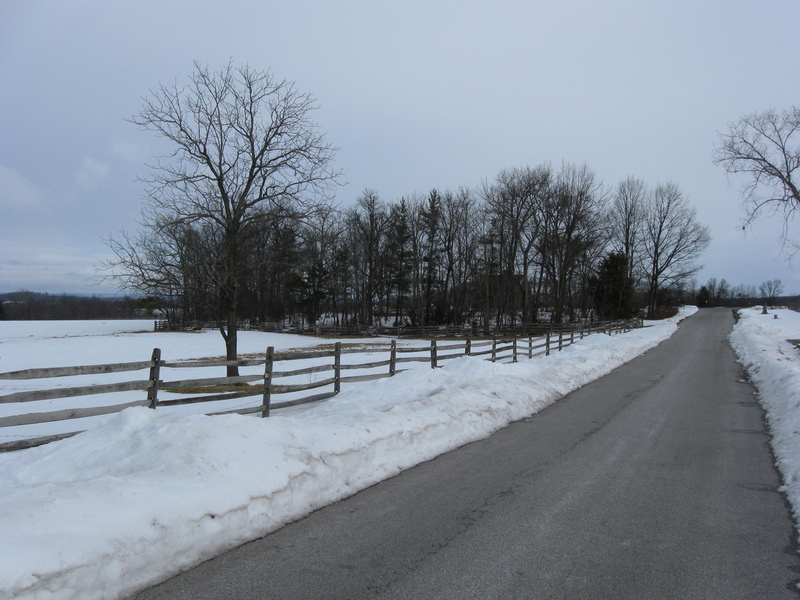 We are looking down Stone Avenue towards the Chambersburg Pike. 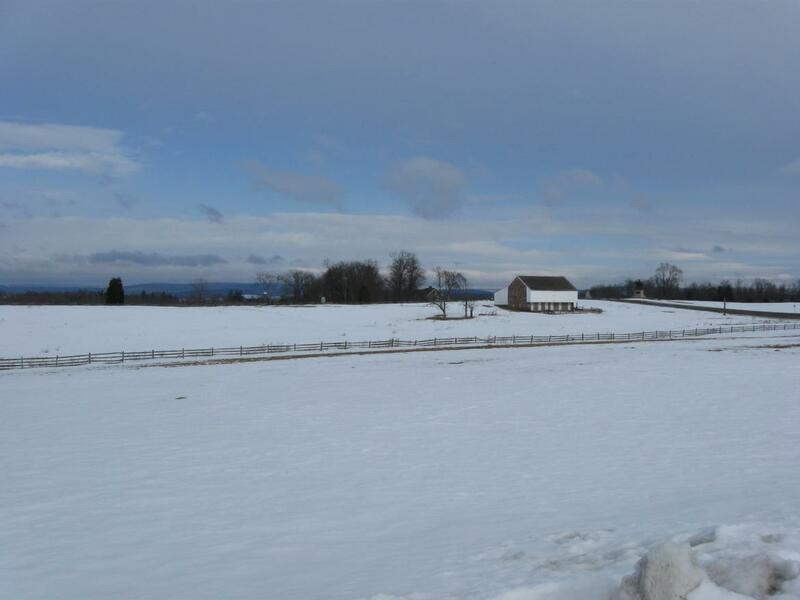 This view was taken facing northwest at approximately 8:45 AM on Sunday, February 28, 2010. We know the guide station, which no guides work out of anymore, has small restrooms for men and women. We know that on an irregular basis, volunteers man the building to provide information. 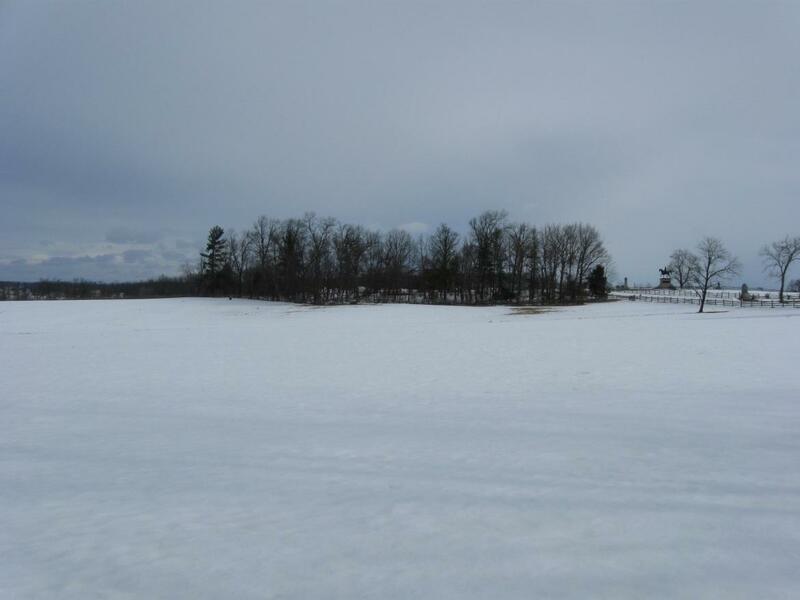 This picture was taken from the location of the monument for the 7th Wisconsin Infantry in Reynolds’/McPherson’s/Herbst’s Woods. The Reynolds’ Equestrian Statue is in the right background. This view was taken facing north at approximately 8:45 AM on Sunday, February 28, 2010. But if the economy gets better, and the National Park Service has more money, or if they receive stimulus money to create jobs in the National Parks, are there alternatives to this non-Civil War building? This view was taken facing northwest at approximately 8:45 AM on Sunday, February 28, 2010. Here’s a thought. Why not use a more historic structure to provide the services that the West End Guide Station now provides? Why not use the McPherson Barn? 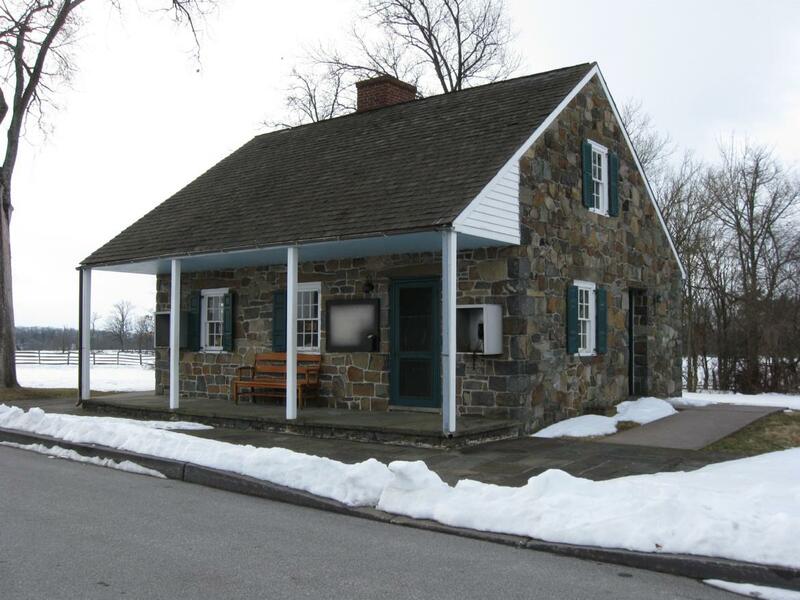 It is roomy, and visitors, except on rare occasions are not allowed to enter any of the historic structures at Gettysburg National Military Park. This would be great for anyone at the beginning of the tour to get out, get a better idea of the fighting, and see a building used as a hospital. This view was taken facing northwest at approximately 8:45 AM on Sunday, February 28, 2010. 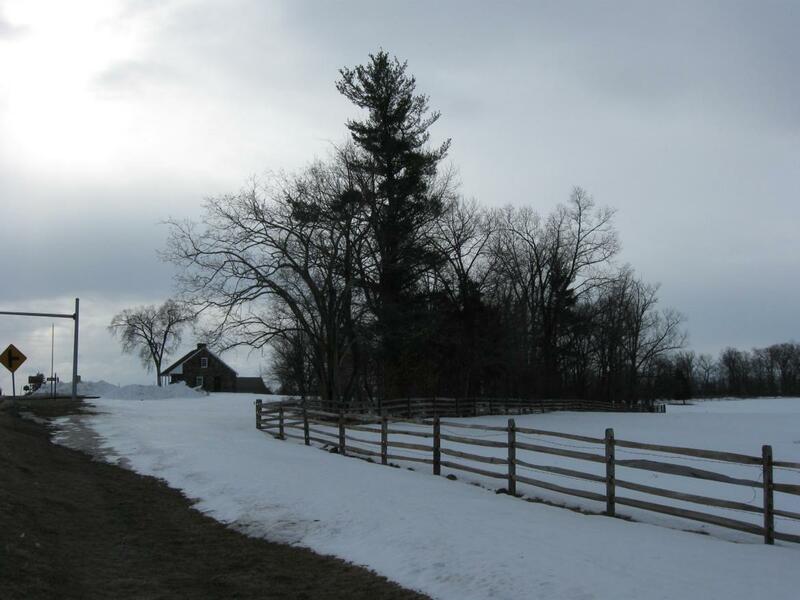 And if you don’t like using the barn for the facilities, see the group of three trees to the left of the barn? 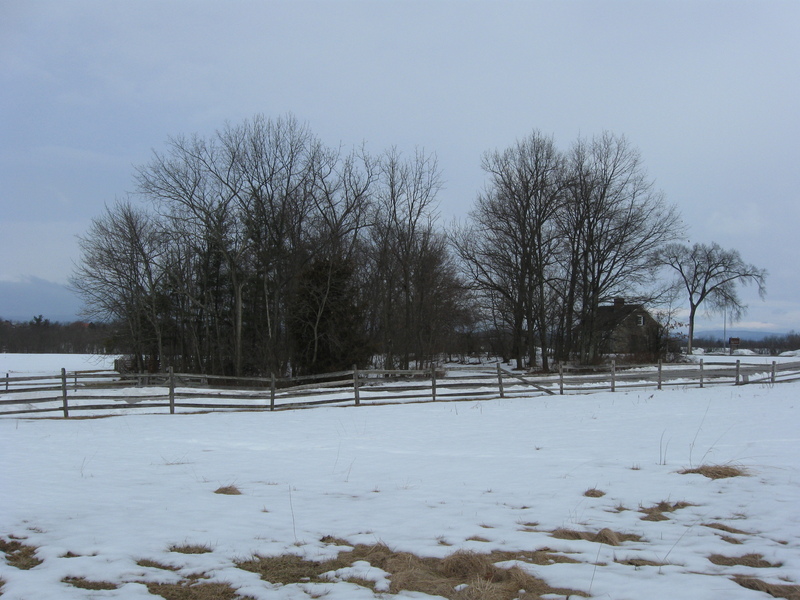 That is where the McPherson House stood during the battle. Since we have a good idea of what the house looked like, why not build as close a replica to it as possible there to house the restrooms and information? The person or persons manning this facility might also start walking tours of the McPherson Barn from here. This view was taken facing northwest at approximately 8:45 AM on Sunday, February 28, 2010. Again, we should do this only if money becomes available, but cutting down trees to restore the historic landscape, while leaving up and exposing a non historic building, is a not very funny joke, and, we feel, a waste of money. 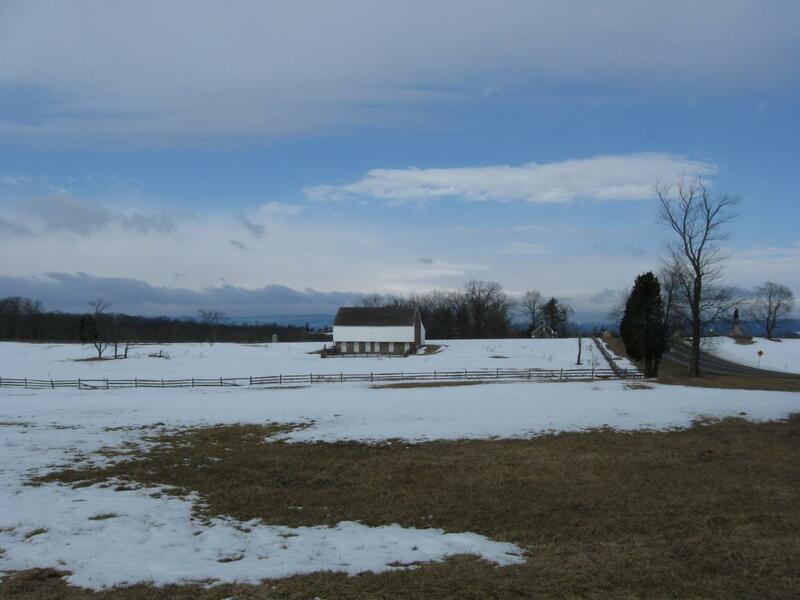 Certainly in this day of great improvements in historic rehabilitation since the 1930s, we can figure out a way to put the existing McPherson Barn to use, or to construct a more historic looking building on the site where one stood during the battle. This view was taken facing northwest at approximately 8:45 AM on Sunday, February 28, 2010.